Cleopatra ruled Egypt and conquered the hearts of Julius Caesar and Mark Antony. 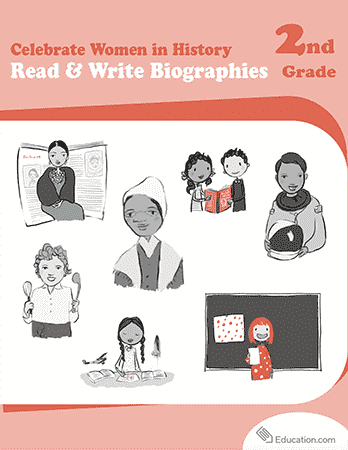 Your little historian can read a mini-biography on this remarkable woman in this worksheet. He can also develop his reading skills with a short comprehension exercise. Learn more about this Ohio sharpshooter with this worksheet on famous women in history. Meet a few of America's most inspirational female figures with this history sheet. Your student will match up each woman with her accomplishment. Explore history with famous female navigator Sacagawea. Sacagawea was a Native American woman who helped Lewis and Clark find their way across the west. Read more about her with this history worksheet. Marian Anderson was a singer whose talent and grace broke down many racial barriers in the mid-20th century. History students can read her biography.